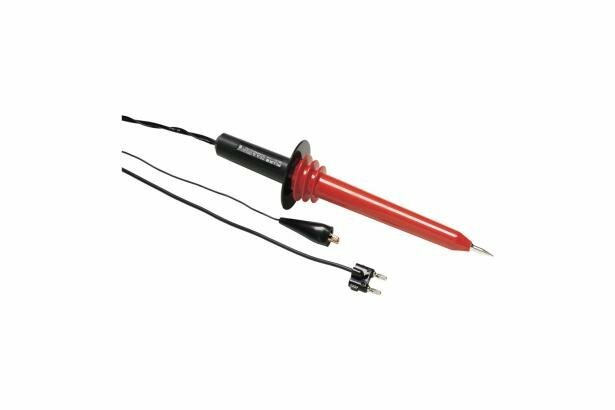 The 80K-40 is a high voltage probe designed to extend the voltage measuring capability of an AC/DC voltmeter to 40,000 volts peak AC or DC Overvoltage Category I. This means the probe can only be used to make measurements on energy limited circuits within equipment. Examples include high voltage within televisions or photo copy machines. DO NOT use this probe to measure high voltages on power distribution systems. The probe provides high accuracy when used with a voltmeter having 10 Megohm input impedance.